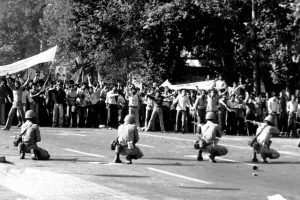 The Iranian Revolution was a hard-fought battle for those in favor of the Islamist model of governance, inspiring similar movements that have had varying degrees of success across the region. 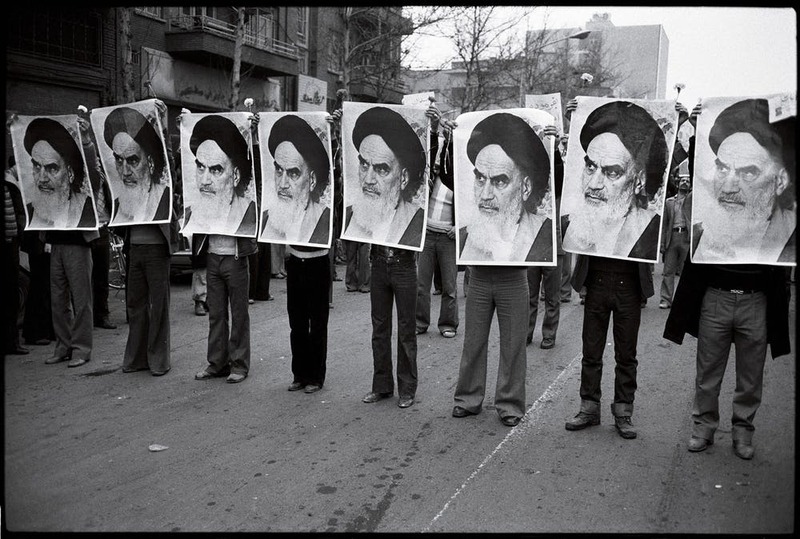 To understand what caused the Iranian Revolution, we must first consider the ongoing conflict between proponents of secular versus Islamic models of governance in Muslim societies. It all began with the British colonisation of India in 1858, which precipitated the collapse of classic Islamic civilisation. By early 20th century, almost the entire Muslim world was colonised by European powers. 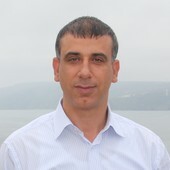 The Ottoman Empire, the last representative of the classic Islamic civilisation, collapsed after world war one in 1918. So, the first half of 20th century saw Muslim nations fight to regain their independence. It was the secular-nationalist, western, educated elites who first led these movements, gaining political control and leadership of their respective countries. These leaders wanted to mimic Europe’s progressive leaps that took place after diminishing Christianity’s grip on society and politics. They believed Muslim societies would progress if the Islam was reformed and its influence on society reduced through separating religion and state. A key reform enforced by the new secular Republic of Turkey, for example, was to remove the Ottoman Caliphate (the religious and political leader considered the successor to the Prophet Muhammad) from his position in 1924, sending shockwaves across the Muslim world. This caused the emergence of alternative grassroots Islamic revivalist movements led by the ulama (Muslim scholars), who believed the very existence of Islam was in jeopardy. These movements were non-political in their inception and gained mass support at a time when Muslim masses needed spiritual solace and social support. In time, they developed an Islamic vision for society and became increasingly active in the social and political landscape. By the end of the second world war, Muslim countries had largely escaped from the constraints of western colonisation, only to fall victim to the Cold War. Iran and Turkey were key countries where Soviet expansion efforts were intensified. In response, the United States, provided both countries with economic and political support in return for their membership in the democratic Western block. 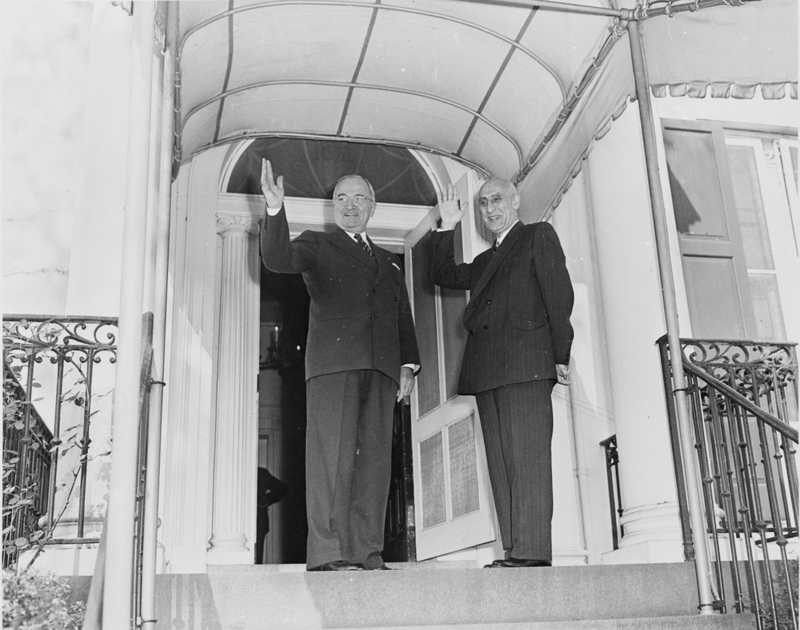 Turkey and Iran accepted this support and became democratic in 1950 and 1951 respectively. Soon after, Mohammad Mosaddeq’s National Front became the first democratically-elected Iranian government in 1951. Mosaddeq was a modern, secular leaning, progressive leader who was able to gain the broad support of both the secular elite and the Iranian ulama. He was helped by a growing disdain for Shah (king) Reza Pahlavi’s reigning monarchy and Iranian anger at the exploitation of their oil fields. Whilst Persian oil was used by Britain and Russia to survive the Nazi onslaught during the second world war and greatly helped boost the British economy, Iranians were only receiving 20% of the profits. Mosaddeq made the bold move to address this issue through nationalising the previously British-owned Anglo-Iranian Oil Company (AIOC). This did not work out in his favour, as it attracted British and US economic sanctions. This in turn crippled the Iranian economy. In 1953, he was replaced in a military coup organised by the CIA and British Intelligence. The Shah was returned to power and the Anglo-Iranian Oil Company became BP, British Petroleum, with a 50-50 divide of profits. Not only did this intervention leave Iranians with a sense of bitter humiliation, betrayal and impotence, its impact also reverberated within the wider Muslim world. It sent the message that a democratically-elected government would be toppled if it did not fit with Western interests. 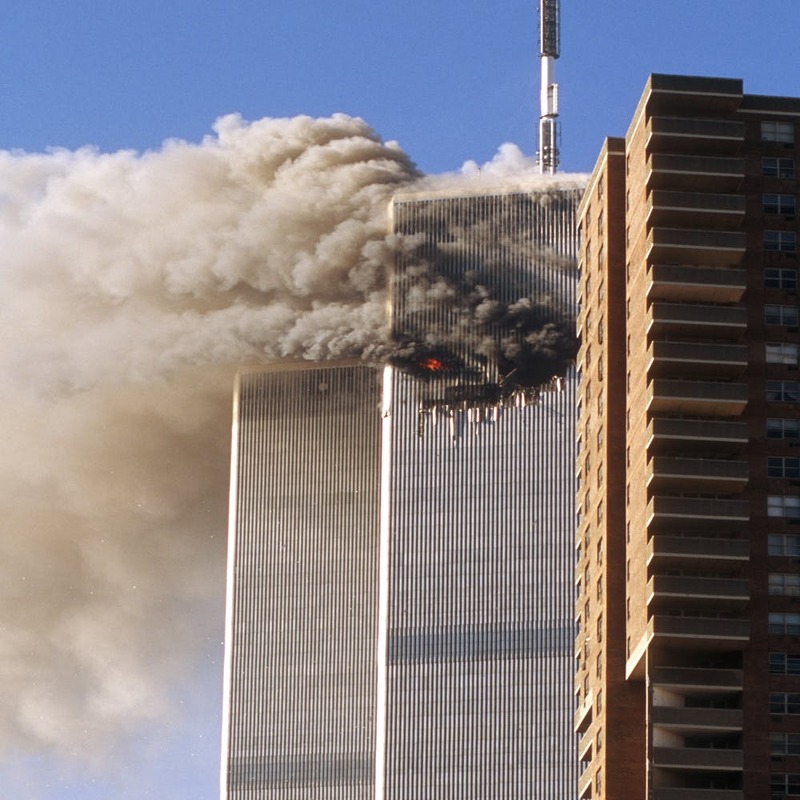 This narrative continues to be the dominant discourse of Islamist activists to this day, used in explaining world events that affect the Muslim masses. Looking more closely at the developments in Iran between 1953 and 1977, the Shah relied heavily on the US in his efforts to modernise the army, Iranian society and build the economy through what he called the White Revolution. Though his economic program brought prosperity and industrialisation to Iran and educational initiatives increased literacy levels, this all came at a hefty cost. Wealth was unequally distributed, there was a development of an underclass of peasants migrating to urban centres and large scale political suppression of dissent. Disillusioned religious scholars were alarmed at the top-down imposition of a Western lifestyle, believing Islam was being completely removed from society. The revolution – what happened? 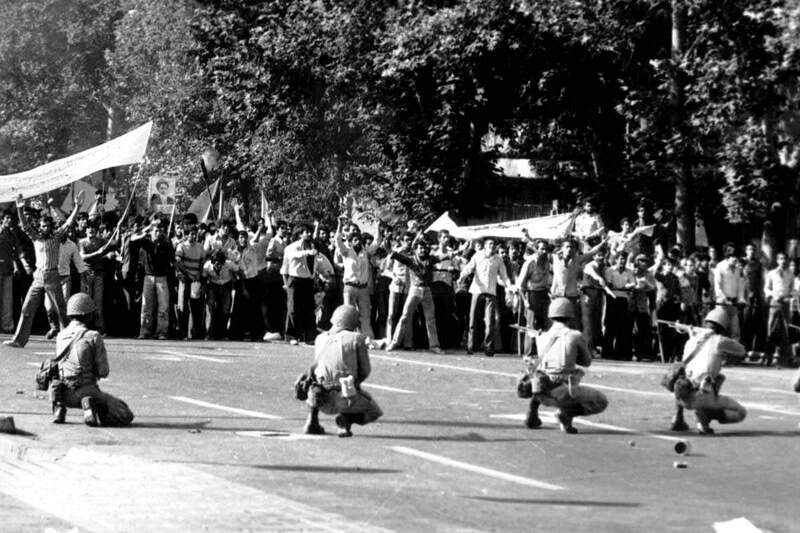 Iranian dissidents responded finally to the Shah’s political suppression with violence. Two militant groups, Marxist Fadaiyan-e Khalq and Islamic leftist Mujahedin-e Khalq, started to mount attacks at government officials in the 1960s. More sustained and indirect opposition came from the religious circles led by Ayatollah Khomeini and intellectual circles led by Ali Shari’ati. Shari’ati, a French-educated intellectual, was inspired by the Algerian and Cuban revolutions. He called for an active struggle for social justice and insisted on the prominence of Islamic cultural heritage instead of the Western model for society. He criticised the Shi’ite scholars for being stuck in their centuries-old doctrine of political quietism – seen as a significant barrier to the revolutionary fervour. The barrier was broken by Ayatollah Khomeini, who rose to prominence for his outspoken role in the 1963 protests and was exiled as a result. His recorded sermons openly criticising the Shah were circulated widely in Iran. Influenced by the new idea of an Islamic state in which Islam could be implemented fully, thus ending the imperialism of the colonial West, Khomeini argued it was incumbent on Muslims to establish an Islamic government based on the Qur’an and the example of the Prophet Muhammad. In his book Wilayat-i Faqih: Hukumat-i Islami (Islamic Government: Guardianship of the Jurist), Khomeni insisted that in the absence of the true Imam (the only legitimate leader from the linage of Prophet Muhammad in Shi’ite theology) the scholars were their proxies charged to fulfil the obligation by virtue of their knowledge of Islamic scriptures. This idea was an important innovation that gave licence to scholars to become involved in politics. With the conditions ripe, the persistent protests instigated by Khomeini’s followers swelled to include all major cities. 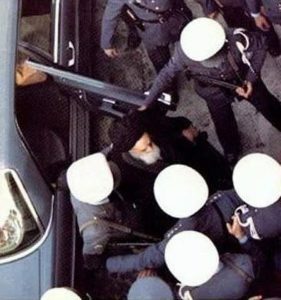 This culminated in the revolution on February 1, 1979, when Khomeini triumphantly returned to Iran. The Iranian revolution was a cataclysmic event that not only transformed Iran completely, but also had far-reaching consequences for the world. It caused a deep shift in Cold War and global geopolitics. The US not only lost a key strategic ally against the communist threat, but it also gained a new enemy. Emboldened by developments in Iran, the Soviet Union invaded Afghanistan in 1979. This was followed by the eruption of the Iran-Iraq war of 1980, designed to bring down the new Iranian theocratic regime. The US supported Saddam Hussein with weapons and training, helping him clinch his grip on power in Iraq. These two conflicts and the series of events that followed – Saddam Hussein’s invasion of Kuwait in 1991, two Gulf-Wars, the emergence of Al-Qaeda, and the 9/11 terrorist attacks on World Trade Centre and subsequent war on terror – defined geo-politics for the last three decades and continues to do so today. The Iranian revolution also dramatically altered Middle Eastern politics. It flamed a regional sectarian cold war between Iran and Saudi Arabia. The revolution challenged Saudi Arabia’s monarchy and its claim for leadership of the Muslim world. The religious and ideological cold war between Iran and Saudi Arabia continues to this day with their involvement in the Syrian and Yemeni conflicts. Another impact of the revolution is the resurgence of political Islam throughout the Muslim world. Iran’s success showed that establishing an Islamic state was not just a dream. It was possible to take on the West, their collaborating monarchs/dictators and win. Throughout the 1980s and 90s, Islamic political parties popped up in almost all Muslim countries, aiming to Islamise societies through the instruments of state. They declared the secular model had failed to deliver progress and full independence, and the Islamic model was the only alternative. For them, the Iranian revolution was proof it could be a reality. Was the revolution a success? From the perspective of longevity, the revolution still stands. It has managed to survive four decades, including the eight-year Iran-Iraq war as well as decades of economic sanctions. Comparatively, the Taliban’s attempt at establishing an Islamic state only lasted five years. On the other hand, Khomeini and his supporters promised to end the gap between the rich and the poor, and deliver economic and social progress. Today, the Iranian economy is in poor shape, despite the oil revenues that holds back the economy from the brink of collapse. People are dissatisfied with high unemployment rates and hyper-inflation. They have little hope for the economic fortunes to turn. The most important premise of Islamism – making society more religious through political power – has also failed to produce the desired results. Even though 63% of Iranians were born after the revolution, they are no more religious than before the revolution. Although there is still significant support for the current regime, a significant proportion of Iranians want more freedoms, and disdain religion being forced from above. There are growing protests demanding economic, social and political reforms as well as an end to the Islamic republic. Most Iranians blame the failures of the revolution on the never-ending US sanctions. Even though Iran trades with European powers, China and Russia, they believe the West does not want Iran to succeed at all costs. Ultimately, the world geopolitics is a competitive business driven by national interests. The challenge before Muslim societies is to develop models that harmonises Islam and the modern world in a way that is appealing and contributory to humanity rather than seen as a threat. Hard social and political conditions and forces of time have an uncanny ability to test and smooth ideologies. While the struggle between secular and Islamic models for society continues in Iran and the greater Muslim world, it is likely that Iran will evolve as a moderate society in the 21st century. This entry was posted in History, Iran. Bookmark the permalink.